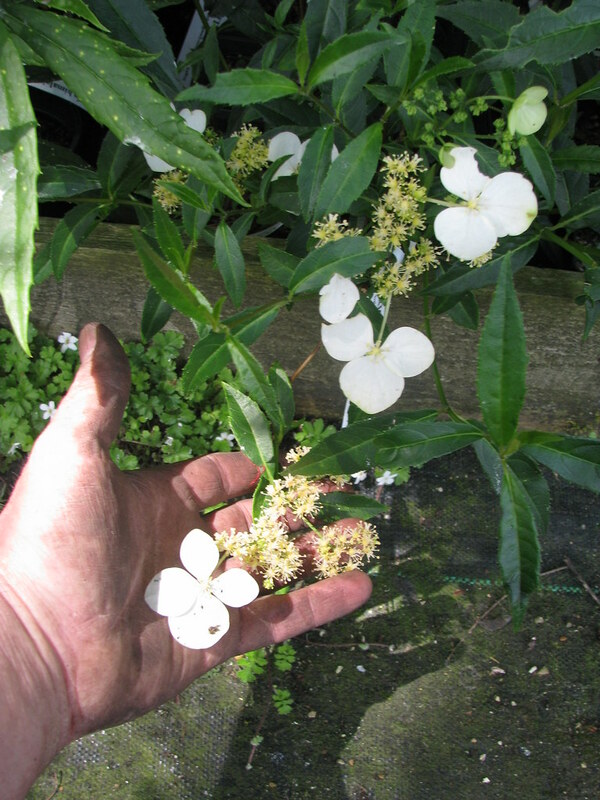 A graceful shrub with unusually big sterile florets of a very fresh slightly greenish white in early summer. 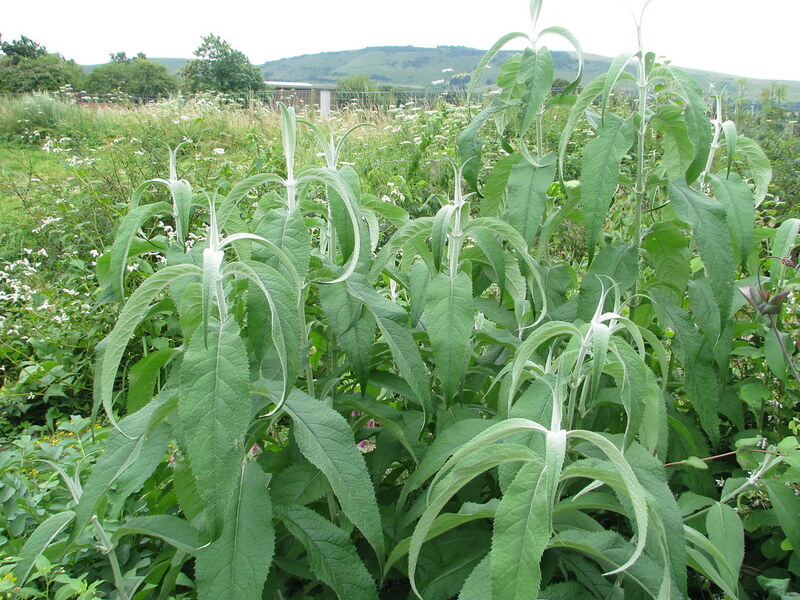 The narrow dark green leaves are more or less evergreen. A Crûg Farm introduction - best with shade, shelter and plenty of moisture. 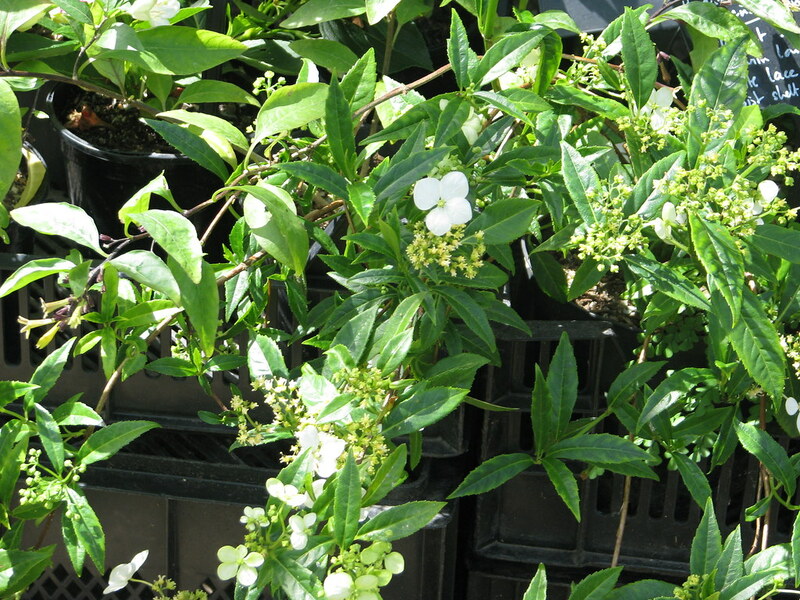 This is an absolutely enormous shrub growing to 10ft very quickly and demanding a big space. 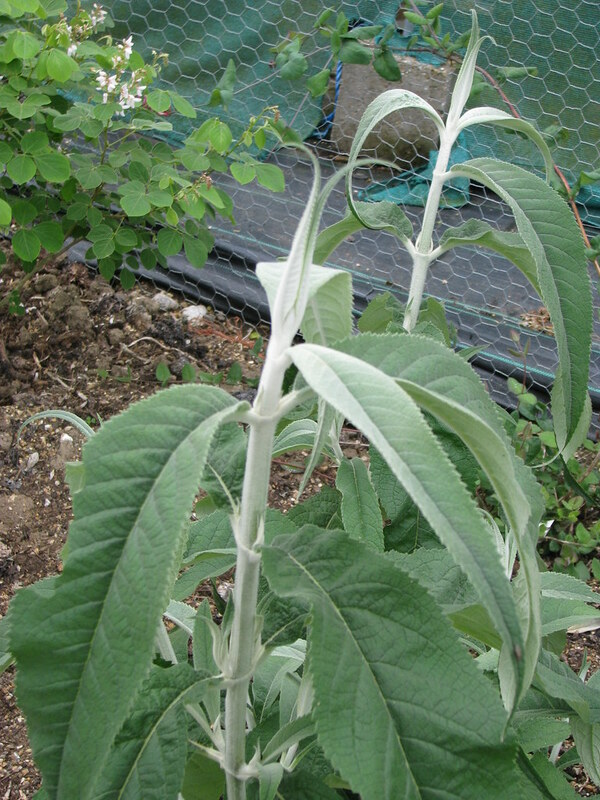 The leaves are also very big – up to 20-30cm pale grey above, pure white felted beneath and along the stems. 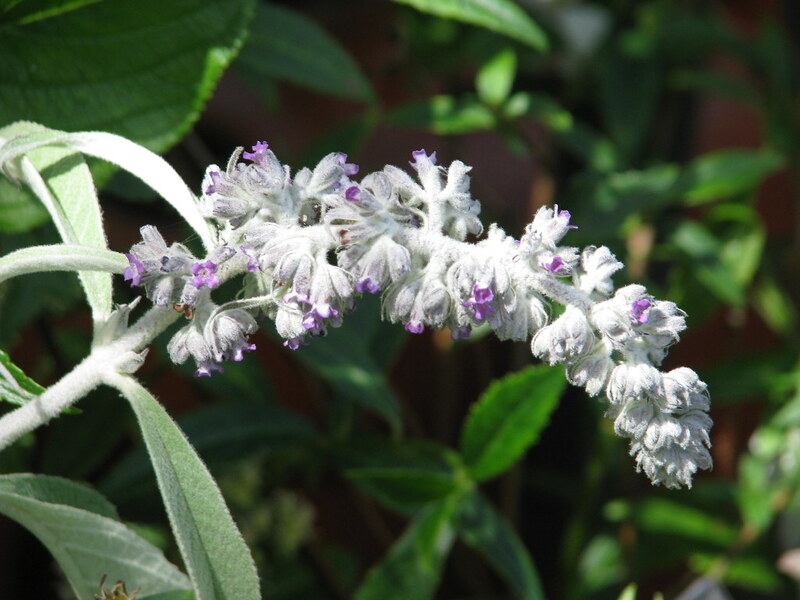 The flowers resemble davidii but the small purple orange eyed flowers are in hefty clusters up to about 30cms long and set in white fluff. All in all a dramatic and remarkable thing.